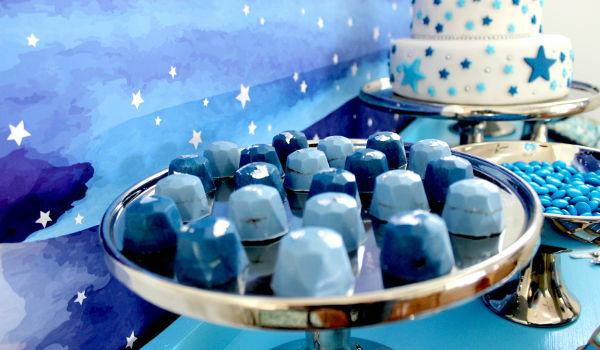 This beautiful baptism was superbly styled around a very sweet theme – the song sung to the guest of honour by his older sisters when he was a newborn. 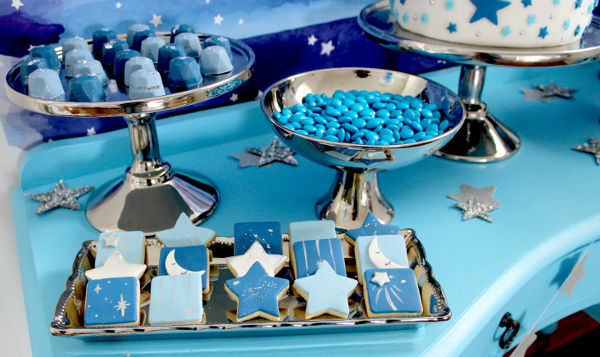 Twinkle, twinkle little star, it’s time to step into Joshua’s baptism. 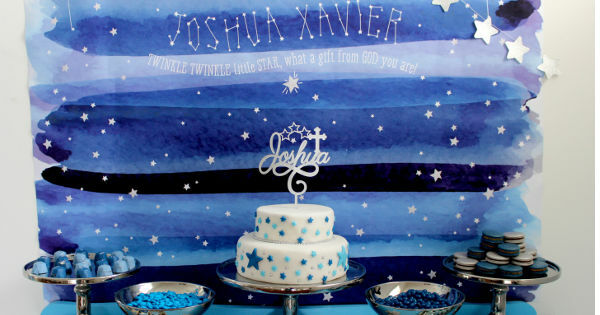 This eye-catching post-baptism soiree was created for three-month-old Joshua Xavier. 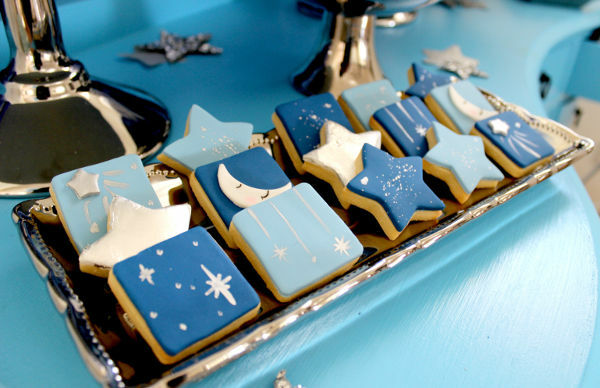 When his four and two-and-a-half year old sisters first laid eyes on him in hospital, they soothed him with a rendition of Twinkle, Twinkle Little Star. And thus was born the theme for Joshua’s baptism. 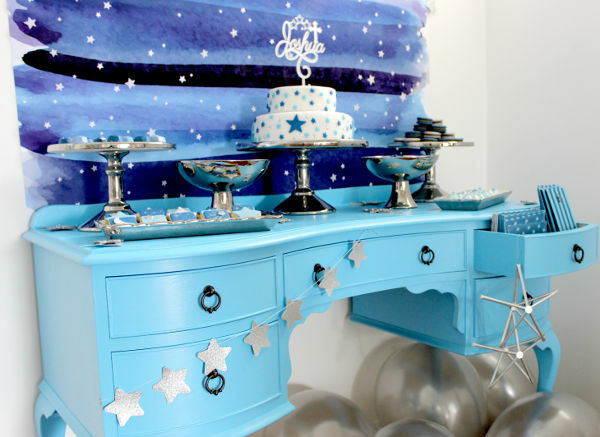 “After planning many girly parties for my daughters it was nice to put together something special for this celebration with various shades of blue! In fact I started brainstorming ideas for his baptism theme not long after he was born after finding out he was a boy. By all accounts Joshua was beautifully behaved at his baptism, which was followed by a small gathering at the family home. 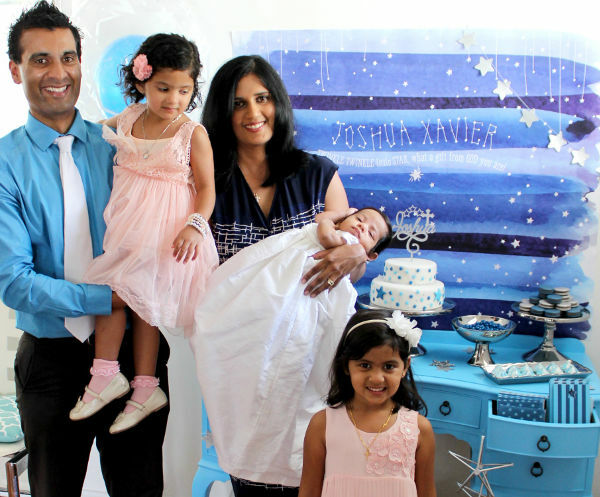 Joshua’s aunty, who is also his godmother, created his cake, which was adorned with a personalised cake topper from A La Roch. And how about the incredible custom backdrop? 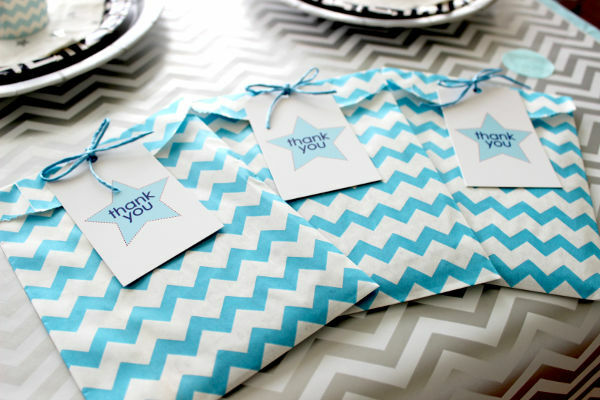 It was created by Pretty and Print. 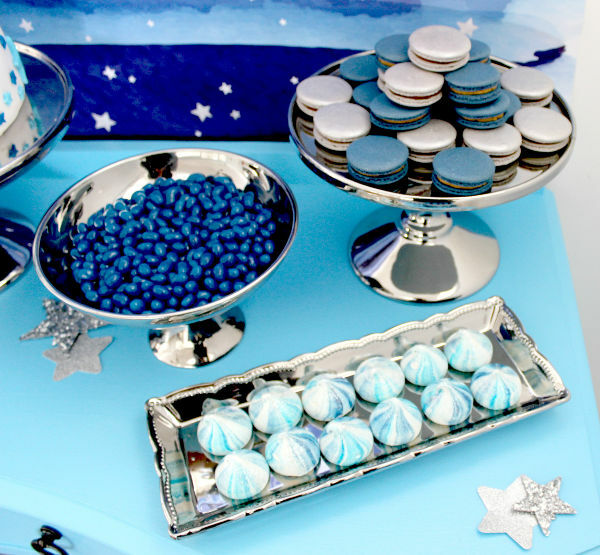 All of the delectable desserts were presented on an incredible blue console table, hired from Sweet Heavenly Events Hire. 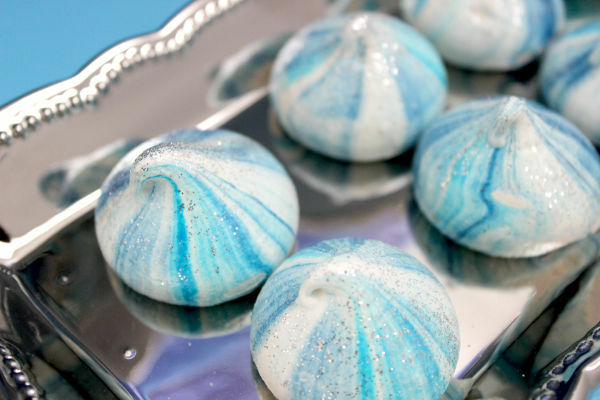 Adults were treated to a traditional Sri Lankan lunch, before getting the chance to indulge in the desserts, which included macarons, chocolate gems, meringue kisses and cookies.